Police have issued ten top tips to stay safe online. Cyber crime is becoming big business for global criminals, and Northumbria Police is anxious to make people aware of the risks and advise on how to reduce them. Crime Prevention Design Adviser Allan Brown said: “E-safety has become an important issue for online users as more and more people are accessing the internet through computers, tablets and mobile phone devices. “We can all do a little more to help keep cyber space safe. 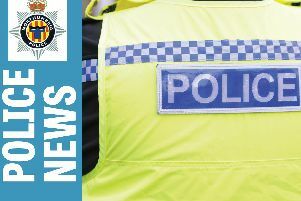 “Northumbria Police offers a comprehensive information advice site that provides people with useful hints and tips on how to best protect their computer. • Create strong passwords and avoid using the same details for multiple accounts. • Install appropriate firewalls, anti-virus and malware software. • Set social media profiles to private and be careful of the content you post. • Secure your mobile phone. • Ensure your operating system is up to date. • Consider encrypting important files. • Secure your Wi-fi network. • Protect your e-identity and be wary of giving out personal details. • Beware of opening links from unknown websites. • If you think you may be a victim of computer crime, report it to police. It also offers tips for parents on keeping children computer-safe.